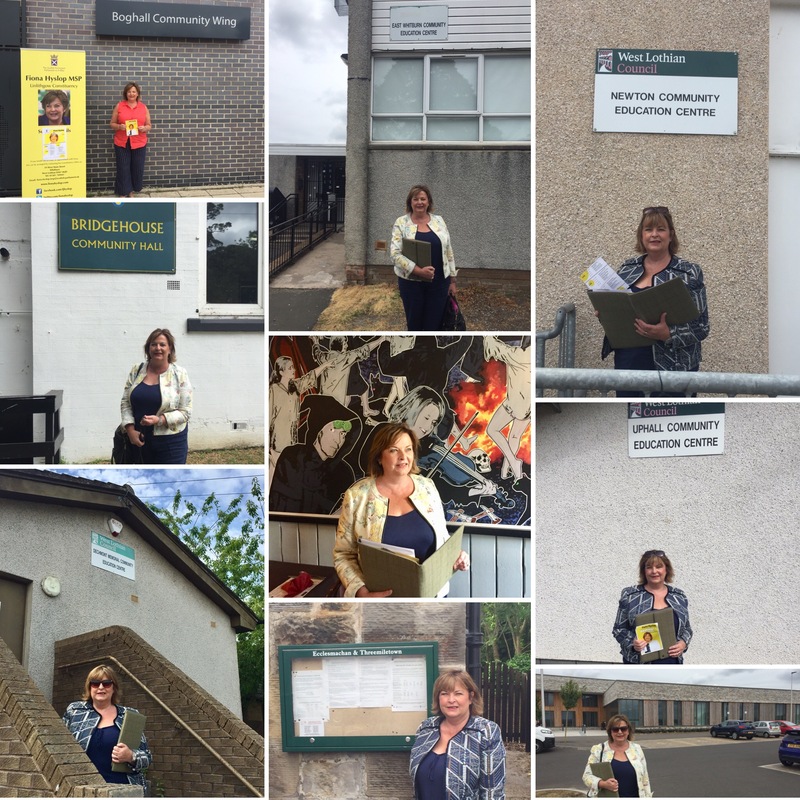 Local Constituency MSP, Fiona Hyslop has thanked constituents who attended her Summer Surgery Tour of 13 surgeries over three days earlier this week. (June 9th – 11th) The tour included all the smaller villages throughout her constituency, and ran from Monday morning until Wednesday afternoon. “The tour has been a great success and a great opportunity to meet people at the surgery venues and listen to the concerns of my constituents. Notes: Fiona visited Boghall, Dechmont, Bridgend, Philpstoun, Blackburn, East Whitburn, Blackridge, Bridgehouse, Torphichen, Uphall, Eccelsmachan and Threemiletown, Winchburgh and Newton.